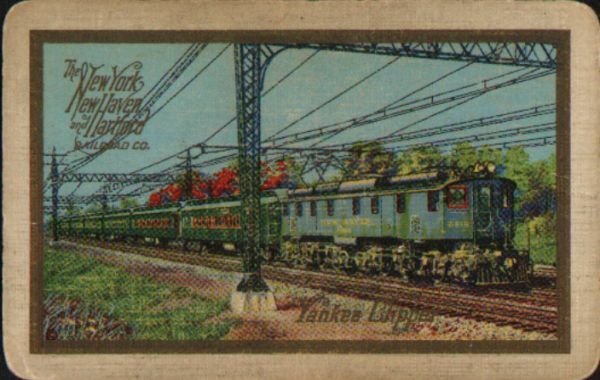 Description Single New York, New Haven & Hartford (N.Y.N.H.&H.) Railroad single playing card (not a full deck of cards) advertising the Yankee Clipper Train. Has a gold boarder around a colorful painting of the Yankee Clipper under the wires with an EP-2 (EP2) electric locomotive. 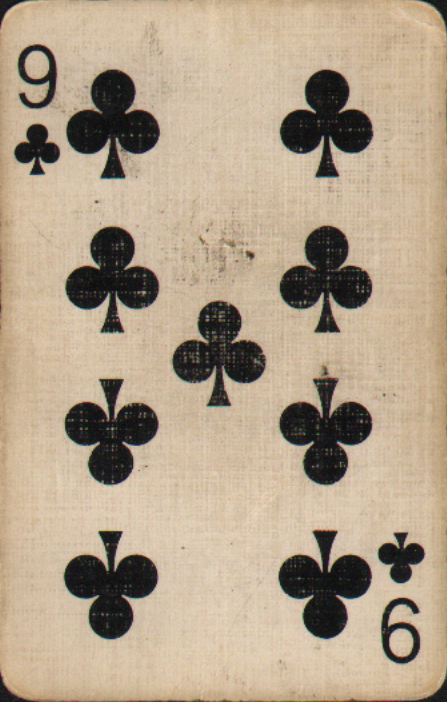 This card is the 9 of Clubs.